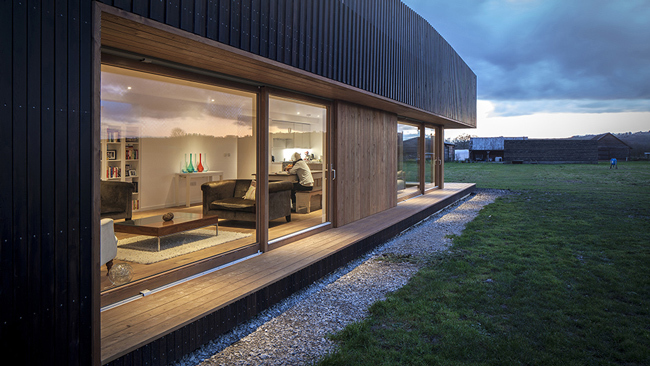 Howe Farm has been awarded both RIBA South Award 2015 and RIBA Special Award for South Small Project of the Year 2015. The entire project programme equated to less than twelve months to design and deliver the project including gaining all necessary statutory consents. The superstructure of Howe Farm was completed in just 15 weeks within the client’s budget of £275k without compromising the quality of the design and its execution. James Robinson, RIBA Regional Director said: “There was a fantastically high standard of entry to the RIBA Awards this year and we are very lucky in the South to have the local ambition and design talent to be able to complete buildings of this quality. From important civic and public buildings to private houses and the conservation of our valuable historic built environment – these Award-winning architects have demonstrated the value of good design as well as the transformative effect it can have on the places where we live”. RIBA South Award winners will also be considered for the highly-coveted RIBA National Awards in recognition of their architectural excellence: these will be announced on 18 June.